There are a lot of different reasons why choosing a smaller web hosting company is better than going with a bigger one. While you might see major companies like Go Daddy and others when you perform a simple Google search for web hosts, they aren’t always the best option available. It’s crucial that you take some time to look into why selecting a smaller web host might be a good idea. The fact is that it can be rather difficult to get all of your specific needs met with a big web hosting company. If you have taken some time to look into what the bigger hosting companies have to offer and aren’t impressed, you might want to go local. A smaller local web hosting company could do a much better job at meeting your exact requirements than a large one. These smaller companies tend to focus on individual customer’s needs more so than big faceless companies. While it’s not always certain that choosing a smaller web hosting company will save you money, it is still certainly a possibility. It is highly recommended that you take the time to look into some of these businesses and the deals they have to offer. You will most likely find some of the smaller web hosts will offer better deals. If you need to save as much money as possible on web hosting services, you should definitely make a point of looking into the local web hosts your area has to offer. A lot of these smaller companies focus more on providing quality services rather than making as much money as they can no matter what. There is also a good chance that you will end up getting better customer service with a smaller web hosting company than a large one. Smaller web hosts sometimes put more emphasis on helping their customers than larger businesses, so you will need to keep that in mind as well. If you are in the process of looking for a new web host, it is important to consider the great importance of customer service. If you ever need help from your hosting company with anything, you don’t want to be given the runaround. A small hosting company could provide you with exactly what you need when it comes to getting any of your problems taken care of quickly and thoroughly. A lot of people believe that bigger web hosting companies are inherently better with regards to the quality of their services, but this is definitely not the case. Sometimes smaller web hosts offer better quality services, simply because they have fewer customers they need to satisfy. A smaller company can actually mean better services, which is important to remember before making a final decision. Some of the bigger web hosting companies aren’t always rated favorably among customers, which you will easily discover upon doing some quick Googling. Another reason why you might want to choose a smaller web host over a larger one is reliability. Sometimes the smaller web hosts are far more reliable than larger ones. And since reliability is definitely something that you will want to look for in a web host, it is crucial that you keep this in mind before making a final decision of any kind. You want to know that the web host you choose is going to be there for you when you need them, and that your website won’t suffer from a significant amount of down time. A small web host could be a better option than a larger one, but it mostly depends on your specific needs. The more time you take to research your web hosting options, the better of a choice you will be able to make overall. Many larger web hosting companies suffer from a number of problems that you just don’t want to deal with. 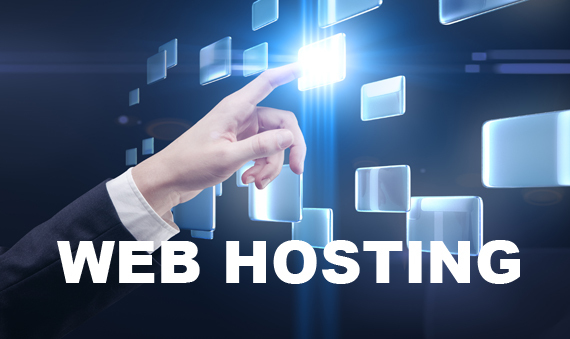 If you are going to spend your hard-earned money on web hosting services for your site, you will need to know that you have made the right choice. Small web hosts are often the way to go.